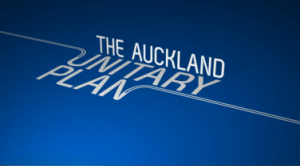 After a marathon 5 days of deliberations on the final draft Unitary Plan, Councillors yesterday agreed to recommend a revised version of the plan be notified for public consultation. The City Vision team of Cr Cathy Casey and Board Chairs, Shale Chambers and Peter Haynes, have been central to the decision making process as members of the working group since development of the Unitary Plan got underway in late last year. In a unique arrangement, Local Board Chairs joined Councillors on the Auckland Plan Committee over 5 days (with speaking rights only) to be in a position to advocate for community interests. The new super city requires a single planning rule book bringing together all the former council district plans. City Vision has been actively involved in the process of developing the draft right from day one to ensure that the plan achieves affordable housing, heritage protection and quality design. City Vision strongly supports a quality, compact city and limited urban sprawl. We want to end up with a planning rule book that implements the Auckland Plan and responds appropriately to inevitable future growth. “By listening to the feedback and keeping faith with the process we have achieved a good result for the Auckland region and our local communities” say Cr Casey Casey, ward councillor for Albert-Eden-Roskill. The proposed Unitary Plan, including amendments to the maps, policies and rules, will now go to Auckland Council’s Governing Body on 10 September who will be asked to officially endorse the plan for notification. Once approved, a date will be set for notification which marks the start of the formal public submission phase and the next opportunity for Aucklanders to have their say. September 10: The Governing Body meets to confirm the plan. End of September: Plan formally notified. October onwards: 90 days for submissions. 2014-2016: Government-appointed commissioners consider plan. 2016 : Possible date for plan to become law and operative.